When you are buying your first home, it can often be overwhelming. To begin with there are so many new words, definitions, and information. You may feel embarrassed to tell the bankers and realtors to slow down, or you may feel shy when you have a question. Don’t worry, you are not alone. Most first time home buyers feel the same way. They don’t know what words like interest rates and APR mean, and they are afraid to ask. If you are patient the process will become a wonderful adventure as you buy your new home. At Federal Home Loan Centers we encourage you to do your research, and to ask as many questions as you like until you feel very comfortable. Then you will start to enjoy this exciting process of buying your first home and you will be proud by all that you are learning. Let’s start with a few very basic definitions. Interest is defined as the money paid to a lender at an agreed upon rate for borrowing the money to buy your house. There are interest rates every time you borrow money, such as with credit cards, as you are essentially borrowing money to make purchases, but here we are focusing on mortgage loans so you can finance your home purchase. Your payment each month on a mortgage includes the agreed upon interest rate in addition to the amount of money borrowed. The payment is made to the bank or agency that provides the loan. Oftentimes a loan servicer collects the money and answers customer questions. BUT WHAT DOES APR MEAN? APR stands for annual percentage rate. It is a numeric representation of your interest rate. The APR is a number that helps you to understand the interest rates that are charged on different credit cards, loans, and other credit products so you can decide which rate is best. With credit cards, the APR and interest rate are the same. With mortgages, the APR is slightly higher than the interest rate as it includes other fees associated with borrowing the money to finance your home. 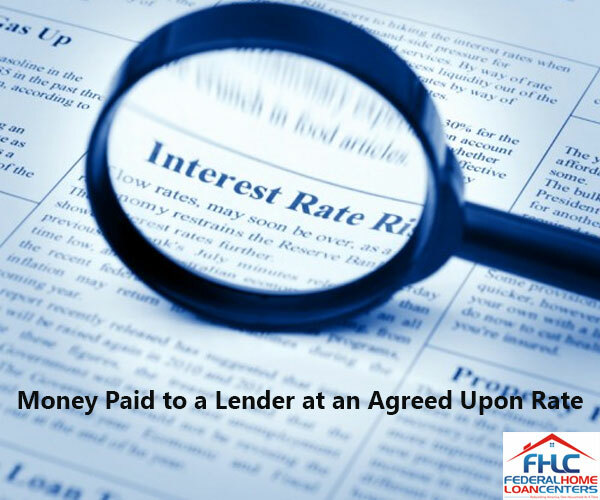 The APR on a loan is calculated by multiplying the loan amount plus the fees by the interest rate and you will get a number that is slightly higher than the interest rate because it includes any fees associated with borrowing the money. There are two kinds of APR – variable and non-variable. Variable APR rates are based on how the market fluctuates and the margin that the bank charges. The market fluctuations are based on the U.S. Prime Rate which is published in the Wall Street Journal. The U.S. Prime Rate is the rate that banks charge their most credit-worthy customers, such as corporations. A fixed, or non-variable APR, is an annual percentage rate that doesn’t change based on market fluctuations. It is important to understand what you are signing up for when you get a new loan because there are certain interest rates that may change over time, as well as late penalties which may appear on your bill if your loan is not repaid on time. 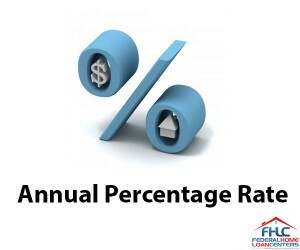 The daily percentage rate (DPR) is calculated by dividing the annual percentage rate (APR) by 365 days of the year. Just remember that the APR is a broader rate, often higher than the interest rate, as it includes other fees to borrow the money. These fees are often called points, and include fees to mortgage brokers, etc. APRs can sometimes be confusing as they do not reflect the highest rate of a variable interest rate loan. When choosing a credit card or a mortgage loan, APR is not the only number to consider. It is very important to be mindful of how loans change over time. It is vital that you trust your mortgage broker and the bank you choose and that they take the time to clearly explain every aspect of the loan agreement. Know when your payments are due, the amount of the payment, if the payments change over time, and what are the late fees. At Federal Home Loan Centers we are happy to answer all your questions and make certain that you understand every step of the process. We want you to be comfortable and happy with our loan products. Contact us now to start the process, and always feel free to ask us as many questions as you like. It is our honor and pleasure to explain everything to the best of our abilities, to you and your families. At Federal Home Loan Centers we are committed to rebuilding America with trust, integrity and total clarity.